There’s nothing like a peaceful sunny day in the park bird watching, or an evening spent stargazing in an open space away from the city lights. With so many different options to choose from and nothing to guide you as to what the best appropriate decision is. 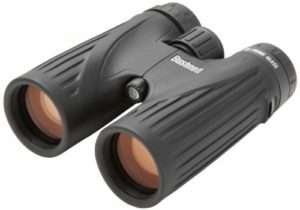 We’ve gathered every piece of information which will help you find the ideal pair of binoculars to serve your specific needs, by providing the best binocular reviews. 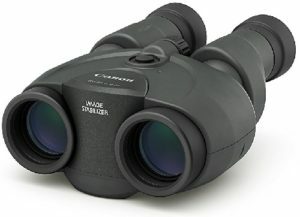 Here is the most popular pair of binoculars among our readers. One of the most important factor to consider while searching for top quality binoculars is the intended use. What Are You Using Your Binoculars For? If your binoculars will be used for bird watching or hunting, you will be looking for a lot of the same qualities. You’ll want a pair of optics with 8×30 lenses or something close to that. Depending on the terrain, you may want to opt for a waterproof pair. Your field of view should be a minimum of 350 feet. More powerful binoculars are always a good idea, especially if you will be looking at animals from a great distance. You could even purchase a spotting scope to complement the pair of field binoculars you choose to purchase. Binoculars used for astronomy are significantly different than bird watching and hunting. As a result, the gear or optics you’re going to equip yourself with will vary drastically. There will be minimal lighting available, so 10×40 binoculars are the usual recommendation for this. Higher magnification optics work because there will not be as much movement in the activity giving you top quality results, and the large lens diameter will make up for the darker images and diminished field of vision. ​If your goal is to go out birding, then there is a specific category of binoculars that are going to be most useful for your adventures. Here are some of the top-rated binoculars you should consider: (compare these 4 top quality birding binoculars here). If you’re looking for the best birding binoculars at an affordable price, then the search ends here. Bushnell Legend Ultra HD is probably ranked as 1 of the top binocular brands on the market. ​This model comes out With a rain guard, HD water-repellant lens coating, as well as being waterproof and fog proof. ​This model comes with all the durability against the weather you’ll need. 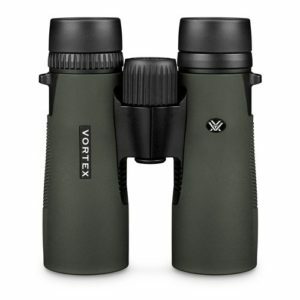 10 x 42 mm with a wide field of view and high eye-relief, this is a great model for birding. 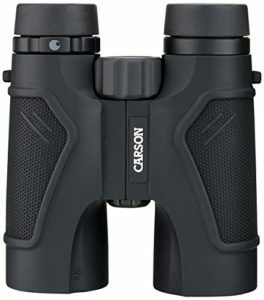 If you are looking to buy the best and the most compact binoculars then I will suggest you consider the cannon 10×30 as an option. On the other hand, if you consider portability as a pressing factor while making the purchase the here are some of the portable options..
​The Canon 10×30 is one of the highest rated and just may be a perfect fit for you. A 10 x 30mm model, these binoculars come with long eye relief and a doublet field-flattener, offering sharp images with virtually no distortion. Vortex Optics New 2016 feature O-ring seals that prevent moisture, debris, and dust from penetrating. As a result, these binoculars boast reliable performance regardless of their environment and display top quality optical results. ​With its multilayer prism coating, it provides clear, bright, color-accurate images. Nikon 7576 Monarch comes built in with Nikon’s premium ED Glass, offering users a sharper, clearer, and more brilliant field of view. ​Lightweight and convenient for travel, the multicoated eco-glass lenses allow high light transmittance across the whole visible light spectrum. 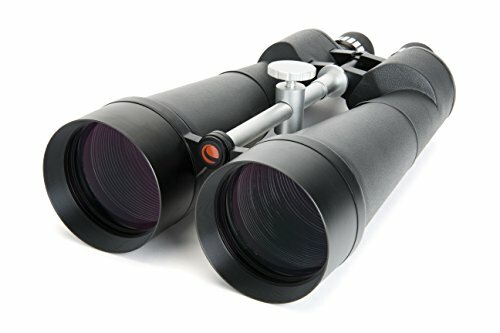 Top quality, User-friendly, waterproof, fog proof, and fitted with a rubber armored body for strengthened durability, this pair of binoculars just may be the pair you’ve been looking for to use on your next bird watching venture. 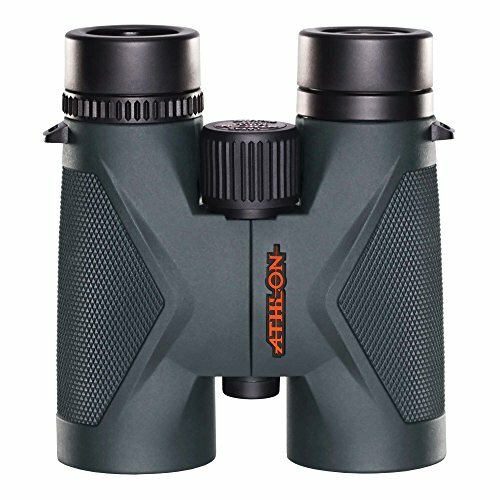 ​If hunting is what you have set your sights on, then there are countless binoculars on the market designed for exactly that purpose. Here are some of the best hunting binoculars to help you narrow down your decision: (compare these top 3 best hunting binoculars here). 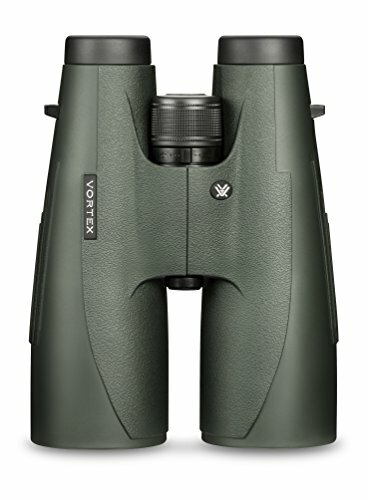 The Vortex Optics Culture HD 15×56 model is a high-density pair that provides incredible color fidelity and resolution. This high quality optics is best with high-definition images. ​The multilayer prism coatings offer bright, clear, color-accurate images and incredible results. 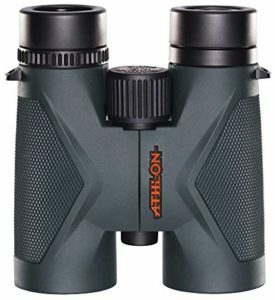 ​This is by far one of my favorites when it comes to Premium HD binoculars. This 8×42 ED Roof glass provides an image that has little to no chromatic fridge. The final result is a sharper and cleaner image. With a dielectric coating and multi-layer prism coating, 99% of the light is reflected and the result is a clear, accurate color reproduction. ​With a dielectric coating and multilayer prism coating,.99% of the light is reflected and the result is a clear, accurate color reproduction. ​99% of the light is reflected and the result is a clear, accurate color reproduction. With Carson 3D Series Waterproof model, you can see the difference that an ED Glass makes for brighter and sharper images. These top performing optics come with a carry case, shoulder harness, neck strap, lens covers, and a lens cloth. ​It also comes with a rubberized armor coating, and it’s waterproof and fog proof. 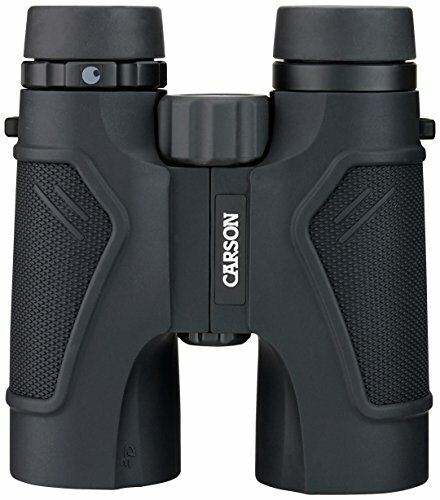 ​These binoculars are designed for hunting and hold up against the task well. There’s nothing like a night out gazing at the stars. However, the experience only gets better if you are using superior quality stargazing binoculars. 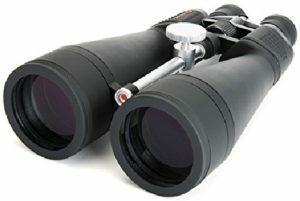 Here are some of the best quality options when it comes to binoculars for stargazing: (Compare these top 2 stargazing binoculars here). This 25 x 100mm pair of binoculars is the real deal. These optics offer maximum image brightness in conditions that are long range and have low lighting. 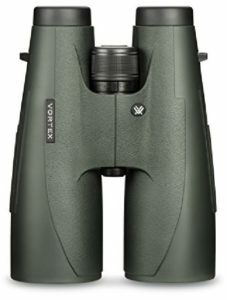 ​With an extremely sharp focus and an individual eyepiece focus, these binoculars offer sharp, clear images thanks to its multi-coated optics. ​The body is water resistant and the model comes with a padded carrying case for storage and travel. If you want to see a lot of the sky at once and enjoy high quality, crisp, clear views of the stars, then the Celestron 71020 SkyMaster 25-125×80 just might be what you’ve been searching for. With 25 x 125mm specs, it offers close-up high quality views that can only be rivaled by a telescope. ​With multi-coated BAK-4 prisms, and 13mm eye relief. This optic is comfortable to view and gives you the ideal images for your next stargazing venture. There are some important factors one should consider while buying the quality binoculars of your choice. These crucial factors help to make the decision of choosing the ideal optics less cumbersome. ​This is the specification of your binoculars you’ll find that looks something like “10x42mm.” This number, or whatever number your particular binoculars have, refers to the magnification x objective lens diameter. ​The first number refers to the magnification, so if it is 10x, that means you will be able to see a distant object 10x larger than you can without binoculars. The second number refers to the objective lens diameter of the optics. Larger lenses collect more light than smaller lenses do, which means objects will appear brighter and with superior quality. ​This measurement is expressed in degrees and feet. ​The degrees will often display two numbers, one being the actual field of view and one being the apparent field of view. ​The actual field of view depicts the angle of your viewing window right after the binocular lenses. ​If your magnification is 10X and the actual field of view is 5 degrees, then the apparent field of view will come in at 50 degrees. ​When measured in feet, things are easier to understand. If the field of view is 300 feet, this means that you can see 300 feet at 1,000 yards. For example, you could see a 300-foot building in its entirety from 1,000 yards away. Eye relief is especially relevant if you wear glasses. It’s the distance that you can hold the binoculars away from your face. ​This refers to the brightness produced by your binoculars. It’s the measurement of the ray of light’s size that hits your eyes after traveling through the lens. ​This is determined by dividing the lens size by the model’s magnification. ​The larger the number you end up with, the brighter your view will be. ​The larger both your magnification and lens size are, the brighter your image will be. Depending on what your purpose is for the binoculars and how much you plan to travel with them, compactness may be an important factor. Compact binoculars are especially advantageous when traveling through rough terrains or when carrying a lot of equipment. However, compact binoculars may not boast the same power or quality as their full-sized counterparts. If you’re going to be using your binoculars in treacherous environments, then they might be frequently exposed to the elements. If this sounds like your situation, then you’ll want to get binoculars that are water resistant, or a pair that boasts a fog proof design. 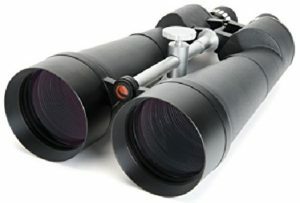 ​Lens coating often is the differentiating factor between high-quality binoculars and cheap ones. ​Those that are worth buying tend to have at least a single coat over the lens to improve clarity and to protect the material from scratches. There you have it—everything you need to know to make a well-informed decision regarding a specific pair of top quality binoculars. Whether you’re looking for the best binoculars for hunting, stargazing, or bird watching, the right model for you is out there. 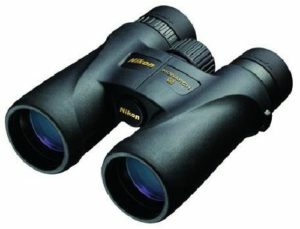 For the discounted deals and limited time offers on all top quality binoculars click here. It only takes a little bit of searching. With a bit of research and looking around, it’s easy to find the best binoculars for the money, and the purpose that you want to use them for. 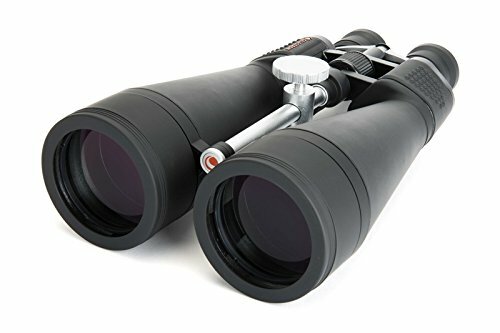 So here you have it, i have unfolded top picks by reviewing some of the best optics for astronomy, bird watching and hunting, This will definitely help you to narrow down your decision to find the ideal pair of binoculars. Happy shopping! Show Me Limited Time Deals And Discounts!